Using Photoshop and Illustrator for graphic designing is extremely common now, but the professional experience differ highly. The work done in Photoshop and illustrator by a professional and amateur can easily be differentiated. Why? Because an amateur uses advance tools and options that an Amateur may not even know about. Professional graphic designer use custom tools that both Photoshop and Illustrator support. Of course building these tools is fairly easy but a lot of people find it difficult to do so. Those people are not real professionals, Nevertheless even professionals seek help from time to time, especially with newer versions of the software. One of the best work you can do in Photoshop is when you use customer brushes. Custom brushes allow you to enhance the editing in your picture that can really make difference. For starters you can give touches on the picture that make it look authentic and unedited. Some experts use it to watermark their images so that even if stolen, no one can deny that it is truly not their own. 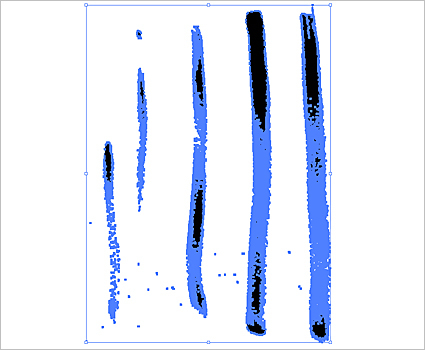 To create a custom brush you first need a texture image. You can get these texture images easily by searching them on Google. It is highly advised not to use images that already belong to someone else. For the sake of a fellow designer, I advise you to use images that are out there for sample purposes or is distributed free of cost. Open the image on Photoshop and DE-saturate the image. In Photoshop7 you can do this by (SHIFT+CTRL+U). What you get will be present in a background layer. Copy this layer and paste it so that it become layer1 and now delete the Background Layer. We do this because it is easier to edit Layer1 and Background layers are not always editable. Now edit this layer to your liking. Use the brightness settings, changing the levels, playing with the contrast and saturation etc. You’ve created the brush but Photoshop sees it as an image. So now you have to create the image as a brush. To do this go to “edit” and then click “Define Brush”. A window will appear asking you to name and save the brush. Name it and click “Done”. That’s it you have created your new brush. You will need to save it in order to use it. You can use the same brush on other similar applications like illustrator. Once you’ve made many different brushes you need to do one more thing. In the “Edit” option find Preset Manager. 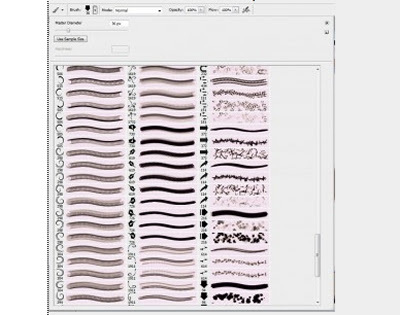 The window will show you all the brushes available on your computer. Click on the ones you want and then click on save option. If you want to load a brush from your back files simply go to “window” select Pallets and then show brushes. Find the brush on your back up drive and load it. You will get the brush now displayed on your application.